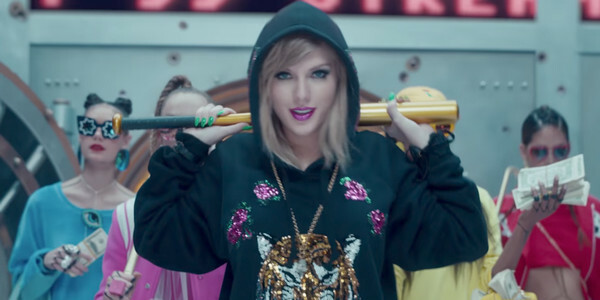 Released on August 24th, 2017, “Look What You Made Me Do” is a well popular single from Taylor Swift’s sixth studio Album – Reputation. In the United States, "Look What You Made Me Do" debuted at #77 on the Billboard Hot 100 and rapidly ascended to #1 after its first full week of tracking, becoming Taylor Swift's fifth number-one single and topping the nation's Streaming Songs chart with 84.4 million streams. As a result, quite a few people are seeking for a way to download the single for offline listening. This tutorial is going to guide you to download “Look What you Made Me Do” from Apple Music in a quick and easy way. If you are a Spotify Free user, please refer to How to Download Look What You Made Me Do from Spotify. Ahead of the album release on Nov. 10, Swift released the full track listing consisting of 15 songs, among which, "Look What You Made Me Do," "Ready For It? ", "Gorgeous," and "Call It What You Want." had already been available in iTunes, Apple Music and Spotify. We can buy the singles from iTunes and listen to them offline on any devices. But Apple Music and Spotify are DRM-protected and we are limited to enjoy them online with iTunes, Apple Music App or Spotify App. Now let's take a look at an efficient way to unlock all the limitations and directly download any of the songs in Reputation to MP3 so that you can listen to your favorites anywhere anytime. Launch the program. Click button "+" on the upper left. A pop-up window will show you all your downloaded Apple Music in iTunes. Tick "Look What You Made Me Do" and then press OK.
Click the setting button on the upper right of the interface, and then a pop-up window will enable you to choose output format ( MP3, FLAC, AAC or WAV ), output quality, as well as output path. Here we select MP3 as the output format. Click button “Convert”. When the conversion is done, "Look What You Made Me Do" will have already been saved as MP3 file on your Local computer. By clicking the menu button on the top right of NoteBurner iTunes DRM Audio Converter or directly going to the output folder you set in previous step, you can find your converted "Look What You Made Me Do" with .mp3. Note: You can download all or any of the songs from Taylor Swift's Reputation in the same way.